EP-410H Hydraulic Compression Tools: Izumi Products. The EP-410H is a traditional C-head with a one inch jaw opening. 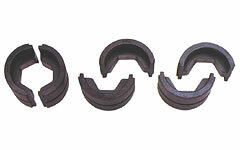 It will accept all U type dies currently used in 12 ton tool on todays market. 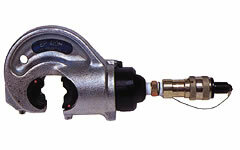 A 700 bar or 10,000 PSI external pump is required to operate this tool. Consult your manufacturer for exact cable, connector and die combinations. When ordering dies, specify the manufaturers die and connector numbers.